No, actually, just make it work again. Specifically the bindings (the snowboard is fine, just in need of a fresh wax). The bindings however, shat the bucket last year while I was in the Swiss Alps, to my intense, bratty rage. Of ALL the places, bindings, you’re going to call it quits in the Alps? Thanks for nothing! I couldn’t even find replacement bindings there, because…I dunno, snowboarding wasn’t a thing in Wengen, or that area of the Alps. So there was little to no snowboarding equipment to purchase. Some dude MacGyver’d them up, which was super helpful and got me through the last couple days on the slopes, but they definitely need replaced (looks like I might be back this coming season). I’m actually pretty happy that I have an excuse to replace them, though, because the regular strap-in bindings have always been a pain. And I mean that literally. All that bending over, messing with adjusting them, blood rushing up and down BS is a perfect recipe for a migraine. It always has been, since I started snowboarding in 2003, but as the years go on the migraines get worse and I get them more easily. 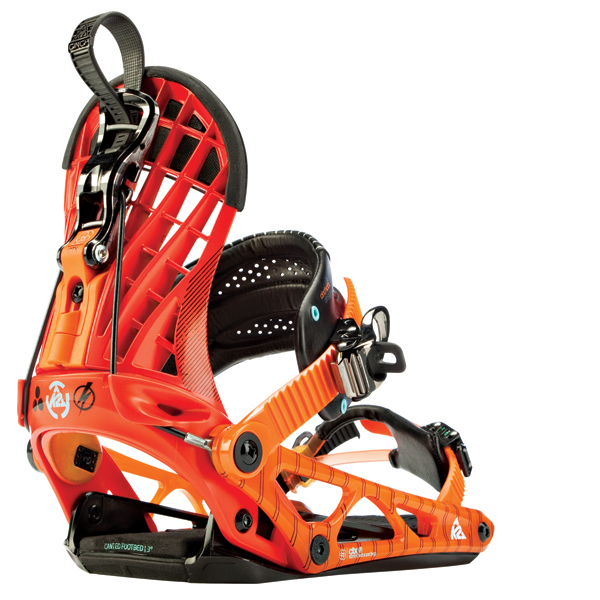 I really want those speed entry bindings, where the back support bit falls back and you just slip your boot into the binding – no need to (fully) unstrap the straps to get in – and then snap the back up again. Looks like I have two options: Flow and K2. Flow appear to be the innovators of the speed-entry bindings, but from what I’m reading, K2 is the better option. Which is fine, because I can only find the K2 bindings in Dubai (remarkably, the sandpit boasts K2 and Burton boutiques) and even if I wanted to risk a purchase online, sight/fitting unseen, I can’t find anywhere that delivers the Flow bindings to Dubai. So I guess it’s new K2 Cinch CTX bindings for me (they’re men’s, K2 Dubai aren’t getting in the women’s version, but they said the men’s should fit me anyway). K2 stuff has never been my gear of choice, but if it helps prevent migraines I guess I can’t really begrudge them a purchase. Anyone reading have experience with and an opinion on the speed entry bindings? As much as I want them, I can’t deny some hesitation due to the fact that they’re only offered by two brands. Why aren’t the other companies picking up this style? What’s wrong with them? I’ve certainly heard some complaints, but not as many as I was expecting to find. People seem pretty pleased with them, especially if you’re mainly an all mountain rider, as I am. I want the orange CTX’s. The orange ones match absolutely none of my other gear, which naturally, is a bonus. Black bindings? No thanks. If I am only given the option to buy boring black bindings, I promise you I am going to throw a hissy fit. Oh, and I also need a new pair of goggles. I sacrificed mine to the mountain in Grindelwald during a migraine-induced fit of not giving enough of a f*** to pick them up after I dropped them. See what hassles migraines cause me? So, I replaced them with some not-awesome temporary pair with urine-yellow lens and now need to find a super-awesome proper pair.